Not enough 'missile' data ??? EDIT: The ship will show in game but I see what Karla meant. The catapults wont work. So what does BAT have that makes the cats work but ModAct 5.3 doesnt? I have but no luck. I tried the French carriers and ai could launch but not me. I tried changing the values in the cat.ini in the engine mod but no luck. Hey Monty - thanks for the appreciation and allowing me to be part of the family. 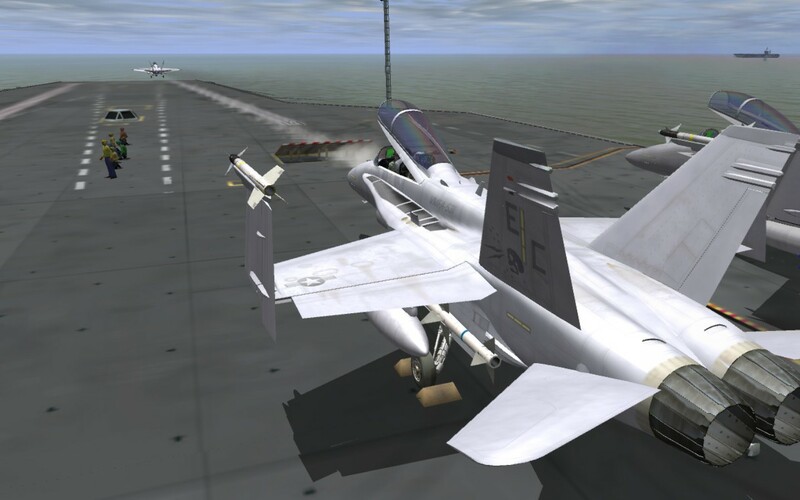 Hopefully we'll get western to help add FLOLS to Nimitz before you release Expansion Pack 7. Nadvgia - Nimitz should appear in 4.12.2m, but the catapults don't seem to work. Look at the 4.12.2m requirements in the first post which I've just added. (This evening I used Seb's settings (post #20) to carry out further checking and testing). It may help to know that I've found that appearance in FMB but not in game has sometimes come from errors in Ships.ini where two separate entries are required. Andee - your lag may be caused by logging where the poor old game is trying to keep up with what's going on. The readme file mentions slow FPS and it is considered best to de-activate the log.lst file (In Conf.ini, [Console] section, LOG=0). Ranwers - (I never thought I would be advising you on anything). Just a thought from the readme.txt, that may also apply to your 4.12.2 version: "BATDLLS-02 will resolve issues for systems that do not get on with the High Resolution Mod that is installed by default in BAT. Download and Unzip to your main Il2 Install and over-write. https://www.mediafire.com/?T7gmf17wc0dvv55". Otherwise, as I said to Nadvgia, check out the Ships.ini file especially. Auto - maybe the BATDLLS-02 will fix you? See Ranwers. Otherwise, wait for Monty's Expansion Pack 7. Bombsaway - I've come to the same conclusion: catapults work in BAT but not in 4.12.2. To all, in summary: at present it seems as though the choice is - USS Nimitz CVN-68 in B.A.T. with working catapults and wires but no FLOLS - or Nimitz in 4.12.2m with glowing inactive FLOLS, working wires but no working cats. Thank you Karla. I am very greatful for you hard work. I understand how difficult it can be when releasing a new mod and there are always issues. Please dont mistake my questions as me finding faults with your ship, I'm just trying to find out what difference Bat has that ModAct doesnt that makes the catapults work. 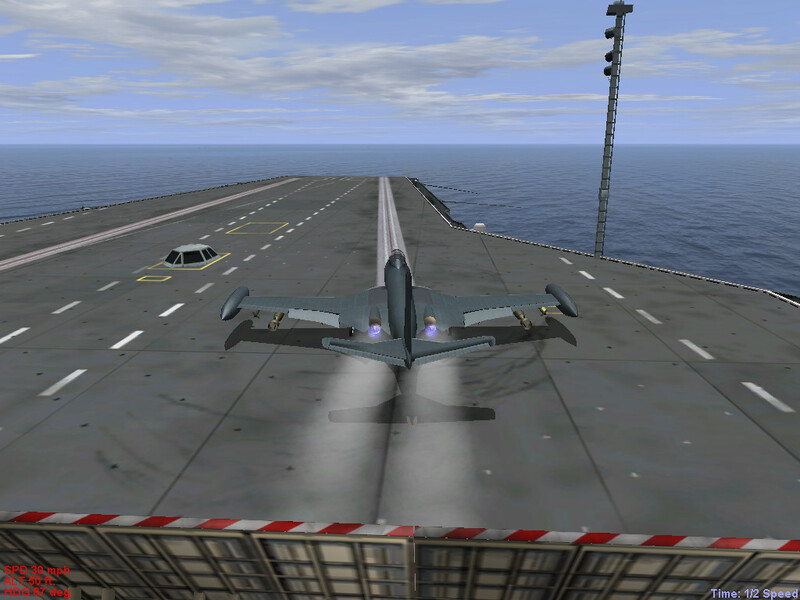 I have been able to launch in ModAct by raising the speed of the carrier and lowering my fuel supply. AI seem to do better than the player's plane. Bombsaway - you're OK, I saw them as reasonable comments. When you launch in the 4.12.2 version of the game, does your plane follow the catapult and do the jet blast deflectors raise? If so, will you check your set-up against the recently up-dated "Installation in 4.12.2" listing in the first post; thanks. B.A.T. has several years of fully inclusive development and a modular install dedicated to the Jet Age. 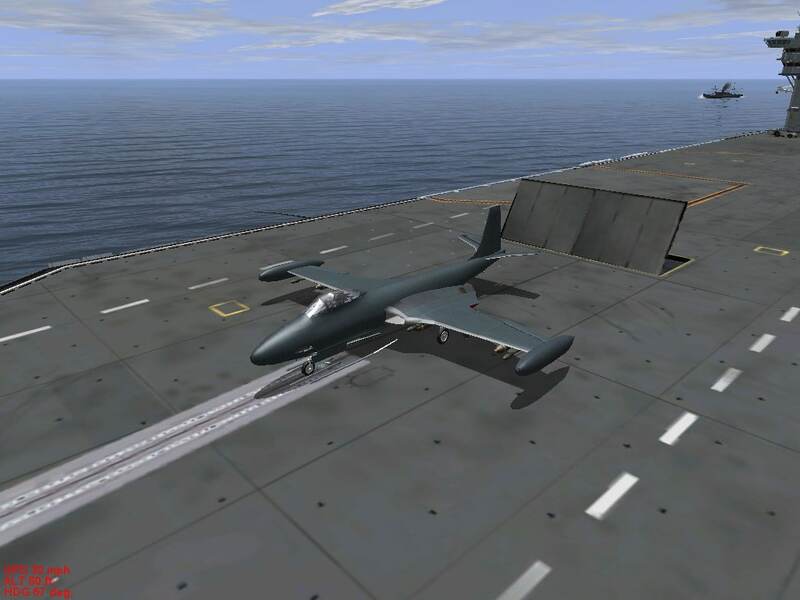 The Engine MOD, Weapons Packs, Flight Models and so many months of building and tweaking. I can't put a finger on what particular critical piece of unique code or feature might be included. Its a big and complex task to integrate them all. I think the reason B.A.T. works is that we started with the goal of developing the Modular eras and everything Jet Age that we can get is in there. I actually started C.F.M. 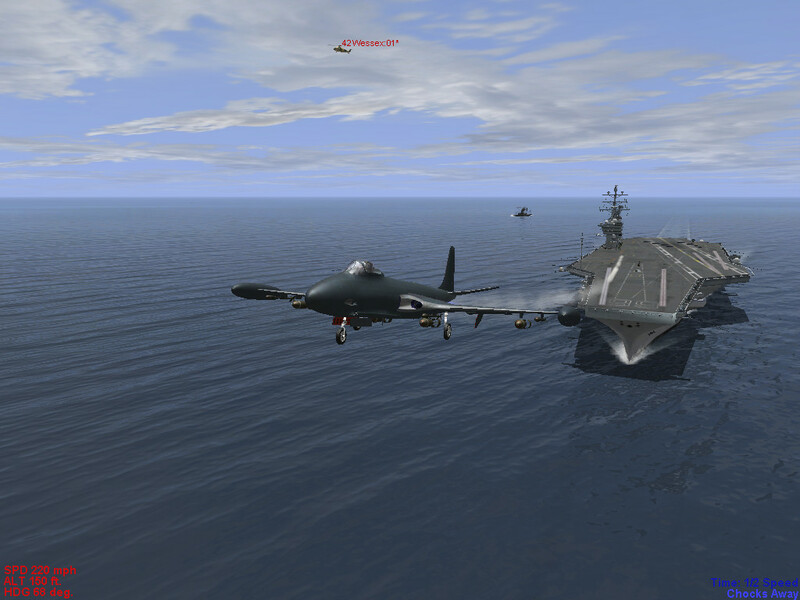 (Compressed Full Monty) out of conflicts with Eric's Marine package AV8B Harrier and F/A18. The package needed so many specialist requirements at the time that the need for a dedicated Jet Age install was realised. From there the modular approach of C.U.P., and then the improved B.A.T., has seen us solve many incompatibilities, No-Open-Canopy-Code (now part of the Flight Model), in-flight refuelling, helos and Steam Cats. We got to know a LOT about Steam Cats. For a major modder like Karla to recognise this, and become part of the B.A.T. family, is another wonderful milestone for the project. B.A.T. is driven by all the great modders that make it possible. Thanks again to them all. @ Karla... The blast deflectors work perectly. 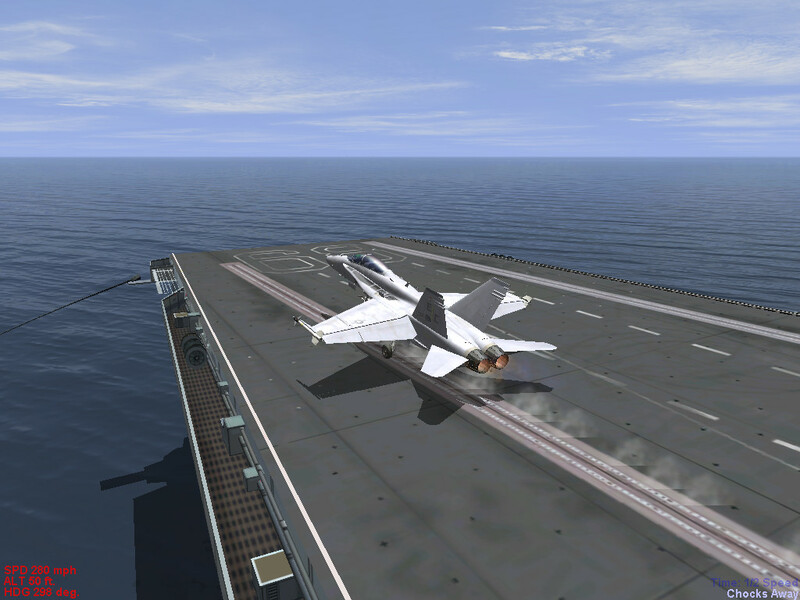 The jet does not follow the catapult " texture " perfectly though. It sort of slides to the left of the texture and launches. I will be happy to test the update. @ Simon. Bat looks great. I'm just very lazy when it comes to new installs. . I have been using the torrent to download Bat andwill install it soon. They both run the latest engine mod that controls the catapults. I am just wondering if you have a mod or something in BAT that I dont have in modact 5.3. If we can figure it out, this ship will work in any install I hope. Well push my buttons and call me, jukebox, ole fumble fingers got Nimitz to work in BAT. Nobody was as surprised as me. Wow, what a ship. I shipped out on the old "66" USS America, long time ago. Thanx a whole bunch. 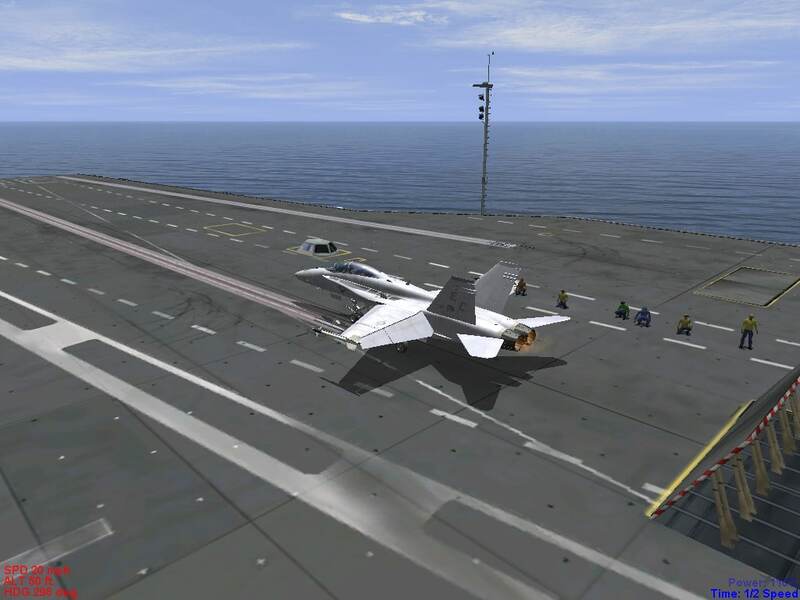 I think confusion over Catapults is due to the new Engine MOD 2.7.3.W - This does not facillitate Auto-Takeoffs. The AI are OK but player/pilots may use AP to position themselves on the CAT but then must kill AP and perform a manual takeoff. Check Trim, Check Flaps for takeoff, Spool up to max +, punch the wheel-brakes (AP positioning can sometimes leave them on), release the CAT!